Commercial video production is one of the most important contents for advertisement and assistance in recent times. The new generation prefers watching video over reading a thorough text full of details. Commercial video content not only appeals to the maximum involvement of senses, attracting the audience, but also has immense benefits to the business too. It provides a detailed insight of what the company wishes to upload, giving them a taste of live experience which builds trust of the customers. Commercial video also takes a business to the global level appealing to a worldwide audience. This kind of a video production gives the best return on investments and high rates of booking from both the country and outside. But not all industries are still aware of the huge scope and advantages that come along with commercial video production. One of the industries that perhaps cannot do without video is the entertainment industry. But until very recently only a fraction of talent in performing arts were being watched and appreciated. It was mainly concentrated to and around Hollywood. Commercial productions made musicians and artists with talent cover their performance up and upload them to different search engines. This gave everyone a fair chance to be seen and heard at the lowest cost. Artists especially the young and new ones are today being appreciated all over the world with for the own credibility through such video productions. Because of this, talents are also shining up from nooks and corners of the world. Another industry that has gained big because of the video production is the hospitality industry. 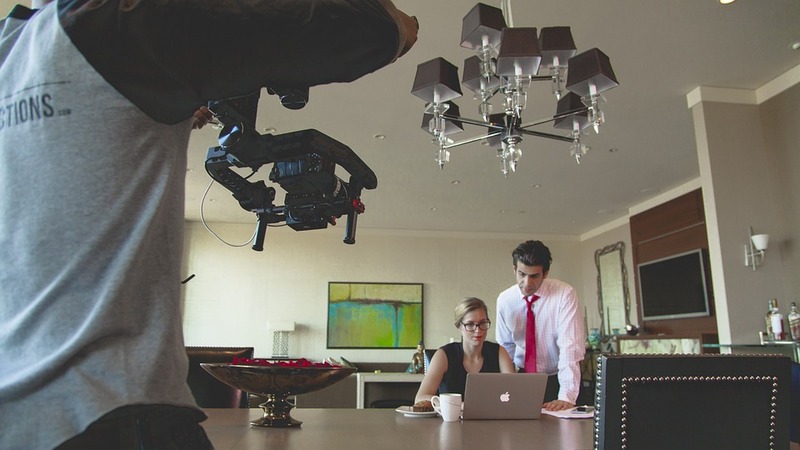 Hotels, big or small, upload their own commercials through production houses like the Las Vegas video production and help give the feel of the place to their customers. Because of the videos the customers are able to connect well with the hotels and automatically booking rates increase. Foreign nationals, business travelers, and other conscious people first dive in to watch a video rather than reading the descriptions one by one in details. Food industry is another one which invariably gain from the video commercials they make. The recipes of cooking, the way they are being served, restaurants interior – all of them get a huge exposure due to video commercials. Besides advertisements of the food outlet, do make us aware of the different food availability at nooks and corners. Fly-N-Fish Oyster Bar and Grill from LidoLiveTv on Vimeo. When it comes to tech products average people are unaware of its minute details. The tech product videos are made in a way which appeals to the diverse range of customers and shows them the easier way to deal with it. The tech videos make the customer believe that they can actually operate them and with the luring price discounts often, the commercials enhance the product sale. Las Vegas Video Production is one such example of how videos can really make a huge difference in the growth of business. Another very important industry that is largely dependent on commercial video is the automotive industry. The operations of cars and the way they run cannot be expressed at all without videos being projected. Every time a new four wheeler or two wheeler appears in the market, it has to show up how exactly it is better than the previous model or other competitors and that cannot be done through pictures because cars are fundamentally machines. The show working procedure of machines cannot be done without video being put up. Starting from Toyota to Duster, Honda to BMW, all of them communicate through video advertising. So is it in case of bikes. The GTB 488 by Ferrari from LidoLiveTv on Vimeo. Beauty products stress on the changes that can happen to a person when the product is being applied. So pointing out the change and projecting is the sole focus when it comes to beauty product. To built up the target audience’s trust, the entire thing can be best represented in a video commercial. Moreover, taking up a favorite star or sportsman further draws the customers toward the product. This attachment is formed when customers see their favorite stars themselves recommending the brand within the video. There are a lot of production houses like the Las Vegas video production which come up with such things. These are a few of a very large list of industries which have gained huge from commercial video production and run mainly on video advertisements. Even for corporate branding, apparel industry, wedding shoots, travel and tourism, online coaching, and other educational purpose video have become increasingly popular mediums of advertisement. In the whole process, video industry in turn has had its own market boom too. Once someone gets to learn how to make a decent video, it is actually easier to set up a business of one’s own and that can always be developed. Thus making video commercials is the new trend for advertising content, which acts as catalytic supplements to the company expansion.